General Motors India has just launched a limited edition version of the Spark hatchback at a starting price of Rs. 3.44 lakhs. 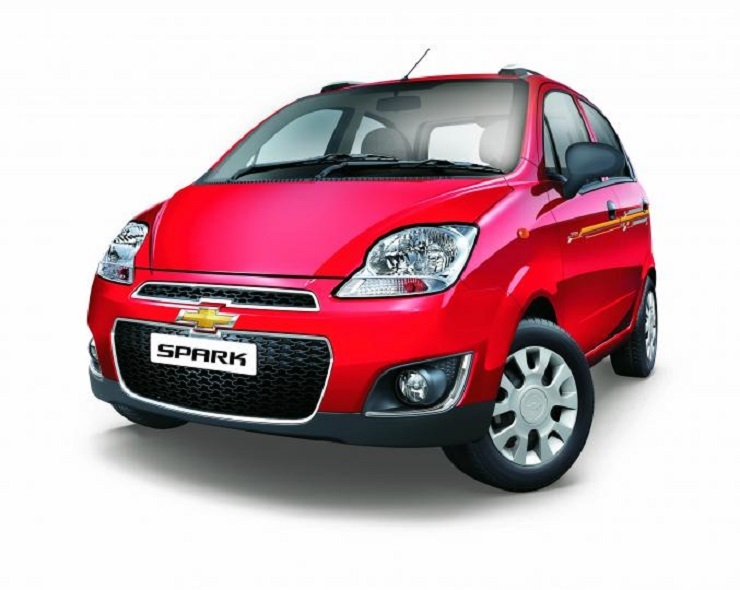 The price range of the limited edition Spark is pegged between Rs 3.44 and Rs. 3.99 lakhs, which is pretty similar to the price range of the regular version of the car. The limited edition of the hatchback brings some cosmetic changes on the interior and exterior but remains bog similar to the regular versions as far as the mechanical department is concerned. For a while now, General Motors India has been facing the heat in the Rs 3-4 lakh segment as the likes of Maruti Alto 800/K10, Hyundai Eon and Datsun Go have become the primary choices of entry level buyers, most of whom gloss over the Spark. The limited edition is designed to make the Spark more appealing to these buyers. The Spark Limited Edition is available with a choice of two sets of body graphics, wing mirrors with integrated turn indicators and a chrome kit. The limited edition badging rounds off the changes on the exterior of the limited edition Spark. Coming to additional kit that you get on inside, the limited edition Spark gets a steering wheel cover, ambient lighting for the foot-well, beige upholstery with red stripes, carpet floor mats and neck rests. The car will be available in 7 colour options: Summit White, Sandrift Grey, Velvet Red, Linen Beige, Misty Lake Metallic, Caviar Black and Switchblade Silver. Under the hood is a 4 cylinder, 1.0 liter petrol motor that has a peak power output of 62 Bhp at 5,400 rpm and a peak torque output of 90.3 Nm at 4,200 rpm. The engine is mated to a 5 speed manual transmission and the car features a pretty roomier cabin when compared to the likes of Alto 800/K10. The Spark in limited edition guise comes with a 3 years/1,00,000 kilometers (whichever is earlier) warranty, alongside a 3 year 24 x 7 road assistance programme.